No, I haven’t seen Boyhood yet. Or Inherent Vice. Or Selma. I’m not a film critic. I like watching and making movies, and it’s fun to remember the great stuff I saw in 2014, and to share that stuff with friends. This is not meant to be a comprehensive look at anything beyond my own personal experience at the movies over the last 12 months. Despite directing a demanding short film and welcoming our first child into the world, I did manage to see about 34 movies in 2014. I certainly saw less than I did in previous years, but I can live with that. And, of course, my Top Ten of 2014, as of today. 10. Why Don’t You Play in Hell? – This was a tough slot to fill, and it honestly cycled between the new Hobbit film and Godzilla a few times before I settled on recommending a more idiosyncratic: Sion Sono’s bloody and hilarious ode to filmmaking. A bizarre mixture of Guy Ritchie crime films, Super 8, and Kill Bill, this is an absolute blast, with a raucous, adrenaline-fueled, and surprisingly emotional final act. 9. Ida – A quiet and deceptively simple story about a young nun, Ida, who begins to learn about her past and her family’s legacy is told with a beautifully restrained hand by Polish director Paweł Pawlikowski. Agata Kulesza gives an absolutely heart-breaking performance as Ida’s aunt, whose inability to reconcile with the sins committed against her highlight what seems to be a big theme in the films I loved in 2014: Forgiveness. 8. Captain America: The Winter Soldier – I never would have guessed that Anthony and Joe Russo, mostly known for directing television comedies, would crank out one of the most effective action films in years. As a big Cap fan, I’m of the opinion that his solo adventures should be grounded, gritty spy stories, and that’s exactly what the Russos and Marvel Studios delivered. The film earns its place in the Marvel canon by introducing major changes to the overall franchise narrative, rather than feeling like yet another low-stakes chapter in an ongoing story. Chris Evans continues to excel in the role of Steve Rogers, and his refusal to give up on – or feel victimized by – his best friend in the film’s climax is a perfect example of how Captain America should be drawn. 7. 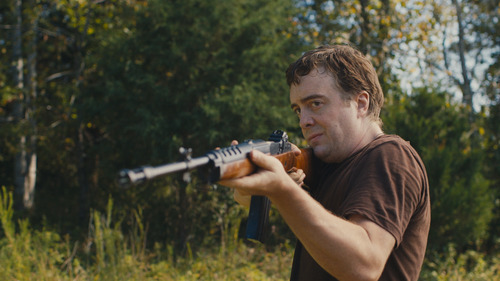 Blue Ruin – A tense and brutal mash-up of The Coen Brothers’ Blood Simple and Jeff Nichols’ Shotgun Stories, Jeremy Saulnier’s earthy Southern revenge thriller is a thing of beauty. The way Saulnier uses sound design and pacing to tease out linger moments of tension signals the arrival of a new young expert of suspense. Again, forgiveness and reconciliation are key here, as Dwight (the excellent Macon Blair) seeks vengeance, inadvertently putting his loved ones (and his body) at hazard. 6. 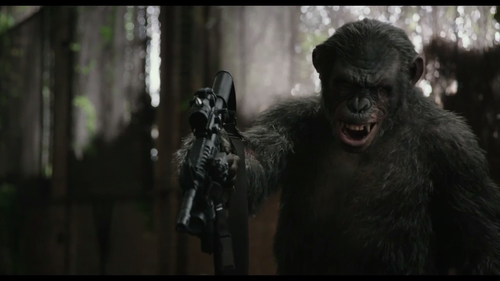 Dawn of the Planet of the Apes – You could take this movie in so many different ways. Is it just another franchise entry in a CGI-driven blockbuster series? Is it an absurd comedy where an ape rides a horse, wielding dual machine guns? Is it a thoughtful allegory for Middle East tensions? Is it a detailed look at how societies grow and conflict? Dawn of the Planet of the Apes is some how all of these things and more. A smart thriller that could have never been released without the decades of narrative context that has come before it, the film is a great example of the beautiful absurdity that big-budget spectacles can deliver, while still managing to present sincere and relatable characters. Again, unforgiveness rears its mangled and scarred head: Koba (Toby Kebbell in my favorite supporting performance of the year) has plenty in common with Blue Ruin‘s Dwight or Ida‘s Wanda. 5. 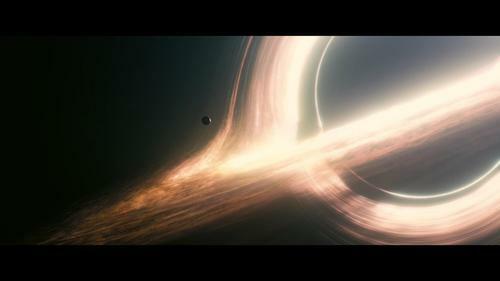 Interstellar – More proof that Hollywood isn’t completely doomed. If this is what we get when Christopher Nolan is a bit off his game a mere two years after wrapping up one of the great trilogies in film history, well then we should appreciate what we receive all the more. As with other Nolans, Interstellar becomes more and more compelling with distance and repeat viewings, once the hype of marketing and the allure of third act twists fall away. All we want from our Hollywood epics is sincere emotion and the highest craftsmanship, and here we have both, intertwined: A multi-generational (kind of) drama about family dysfunction told on the canvas of multiple galaxies, using the cutting edge of film technology, that exudes soul, empathy, and hope. 4. The Babadook – If there’s one thing I’m a total sucker for, it’s character-driven existential horror films… And with The Babadook, Jennifer Kent delivers an existential horror film that belongs in any conversation containing the titles The Trial, Don’t Look Now, or Hour of the Wolf. In fact – and I’m no pure horror expert by any means – this might be the best horror film I’ve seen since Drag Me To Hell in 2009. Regardless of irrelevant genre chatter, The Babadook is a terrifying and expertly crafted movie, anchored by a brilliantly tormented performance by Essie Davis. It also came at a time for me when my wife and I were dealing with a sleep-depriving newborn infant. It’s so healthy to have a film that does not skirt around the dark and ugly side of parenting. 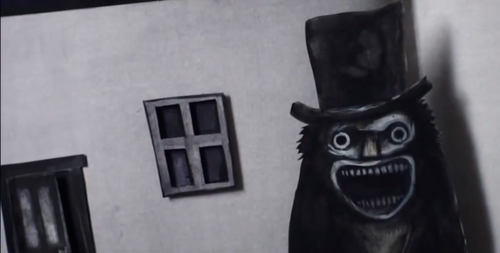 In fact, The Babadook wisely illustrates the danger of isolating oneself and denying one’s own inadequacies as a caregiver. Watch it in the dark with the volume way up. 3. 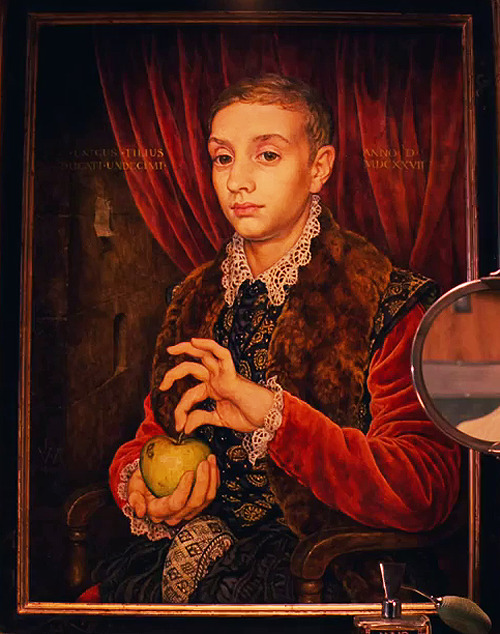 The Grand Budapest Hotel – I can’t help but think we’re all taking Wes Anderson for granted. It’s mind-boggling to think about how long he has been consistently doing splendid original work that plays on screens around the world, and yet he doesn’t often get mentioned in the same breath as a Scorsese, a Malick, or a Paul Thomas Anderson. He should. Not only is his prolific output eerily inspired and always refreshing, but he is also an entire generation’s introduction to film as a purely auteur-driven medium. Rushmore and The Royal Tenenbaums were formative films for so many adolescent and college-aged cinephiles during the turn of the century, and here he is fourteen years later, still inventing and making a film as beautiful as those, all while adding ambition, scope, intricacy, never leaving behind those little moments of beautiful truth. 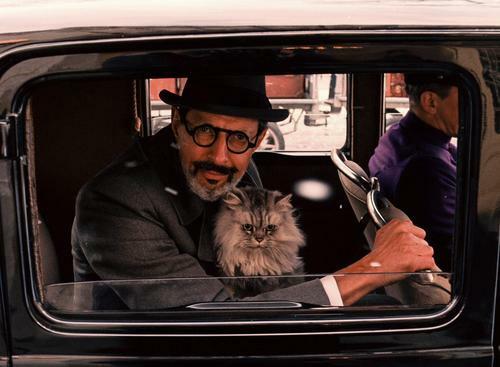 In what might be The Grand Budapest Hotel‘s finest scene, Ralph Fiennes’ brilliant Gustave H loses his temper in scolding his lobby boy Zero after his protege forgot to bring necessary supplies to a prison break. Realizing he’s flown off the handle (still fairly gracefully, of course), Gustave quickly corrects himself, pointing out that civility in a brutal, unforgiving world is one of life’s greatest virtues. 2. How to Train Your Dragon 2 – I’ll be honest; I’m feeling some weird guilt about being so enraptured by a computer animated, big-budget sequel aimed at 10-year-olds. But alas, if I’m honest with myself, there’s no other movie this year that is as much fun, has as much heart, and gets more out of its place in mass culture than How to Train Your Dragon 2. Here’s an awesome adventure film with thrilling action sequences, several heart-wrenching moments, and a vibrant, deep cast of characters that all have something to do. It’s a kid’s movie in which the hero’s girlfriend has her own goals, her own identity, needs no rescuing, and develops a friendship with a male character that in no way becomes romantic. Zero tension is derived from tawdry, tween-peddling melodrama. Instead, tension comes from characters’ inability to forgive, or reluctance to allow others to forgive them. And yet, out of these small character dynamics comes a rich widescreen adventure with gorgeous animation and massive stakes. Dean DuBois has taken a novelty literary property gobbled up by the DreamWorks machine, helped make a surprisingly strong adaptation, and has now taken the reigns to create a mythic saga of Star Wars proportions. 1. Calvary – I can’t get this film out of my head. On finishing it, I was impressed by a well-shot and sharply written character study that mostly relied on dialogue to convey its ideas. However, several weeks later, the moment of film in 2014 that has stuck with me most is Calvary‘s final scene, a wordless piece of cinema that beautifully encapsulates the entire difficult and darkly comic story that comes before it. Without spoiling anything, Calvary is a poignant look at the importance of reconciliation. From Brendan Gleeson’s complex-but-controlled performance to Patrick Cassidy’s mournful main theme, director John Michael McDonagh uses his rich resources to their maximum potential. A stirring, profane, faith-affirming, faux nihilistic masterpiece. And now… fun with Letterboxd! Top When? of 2014 – Movies I’d love to have seen at this point that I think may have appeared (and may still appear) on my top ten of 2014. To See: 2014 – All the movies I’d like to see with a 2014 release date. Most Anticipated of 2014 (January) – The ten films I was most looking forward to a year ago. Most Anticipated of 2015 (January) – The ten 2015 films I’m looking forward to most. What a year it’s set to be.